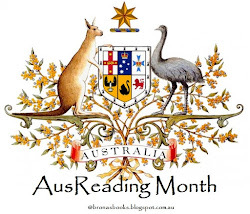 Brona's Books: April is #Zoladdiction month! After a Zola free year in 2016, Fanda is back this April with her wonderful #Zoladdiction2017. So far I've been reading the Rougon-Macquart series out of order, but I'd like to rectify that this year, by going back to the very beginning with The Fortunes of the Rougons. First published in 1871, my Oxford English edition is translated by Brian Nelson. 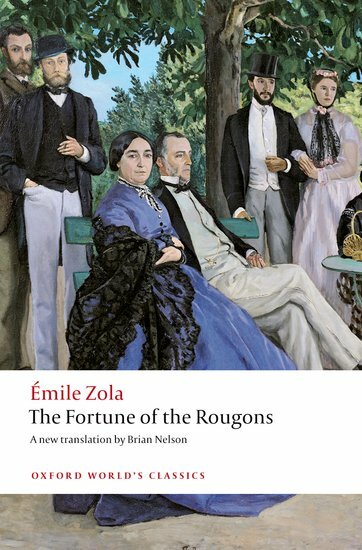 The Fortune of the Rougons is the first in Zola's famous Rougon-Macquart series of novels. In it we learn how the two branches of the family came about, and the origins of the hereditary weaknesses passed down the generations. Murder, treachery, and greed are the keynotes, and just as the Empire was established through violence, the "fortune" of the Rougons is paid for in blood. Set in the fictitious Provencal town of Plassans, The Fortune of the Rougons tells the story of Silvere and Miette, two idealistic young supporters of the republican resistance to Louis-Napoleon Bonaparte's coup d'etat of December 1851. They join the woodcutters and peasants of the Var to seize control of Plassans, and are opposed by the Bonapartist loyalists led by Silvere's uncle, Pierre Rougon. Meanwhile, the foundations of the Rougon family and its illegitimate Macquart branch are being laid in the brutal beginnings of the Imperial regime. 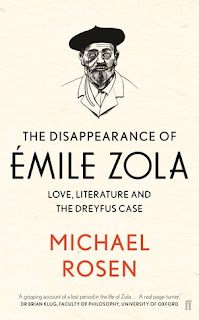 I also have a copy of The Disappearance of Emile Zola by Michael Rosen to dip into. 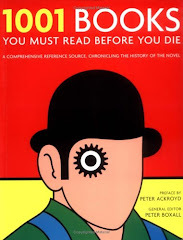 Perhaps I will rename this book We're Going on a Zola Hunt though, in honour of Rosen's more famous book! It is the evening of 18 July 1898 and the world-renowned novelist Émile Zola is on the run. His crime? Taking on the highest powers in the land with his open letter 'J'accuse' and losing. Forced to leave Paris, with nothing but the clothes he is standing in and a nightshirt wrapped in newspaper, Zola flees to England with no idea when he will return. This is the little-known story of his time in exile. Rosen has traced Zola's footsteps from the Gare du Nord to London, examining the significance of this year. The Disappearance of Zola offers an intriguing insight into the mind, the loves, the politics and the work of the great writer. Will you be joining us for #Zoladdiction2017? Oh... the Michael Rosen's new book... how I envy you! So excited to read your review on this. I might read a couple of essays about Zola too to accompany The Earth and Claude's Confession. By the way, I have just met a new FB friend who are interested in Zola, and whom I have encouraged to read Germinal. He loved it (actually praised it in his FB status), and ended up being #Zoladdicted too, haha! I guess with Zola, it's always either you love him or hate him. Nothing in between. From him too, that I found an ebook at Delphi Classics containing all Zola's works and some essays and biogrhapies about him. There are writings from Henry James and some other authors about Zola...very interesting. Just can't wait for April!! Thanks for the tip about Delphi Classics, I hadn't come across them before. I don't like reading on my ereader, especially big books, but it's handy sometimes for those classics long out of print. Only three more sleeps to go! 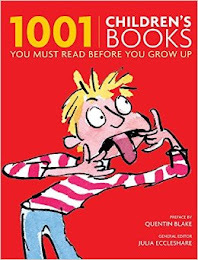 I really love your alternate title for Michael Rosen's new book! I'm a bit jealous of all of this. I've never read any Zola, but of course as a Francophile, I feel that I should sometime. Now sadly is not the time however, I have too much going on to undertake such a lofty task. I'll be interested in following your progress though Brona. Zola does deserve to be read at leisure. I seem to only fit one in every second year or so at the moment. I have so many reading & rereading plans for my retirement that I will have to live to an extraordinarily old woman to fit them all in! Although maybe when the little B's leave home, it might free up some time. Given the housing situation in Sydney though, I'm not sure when that might be. 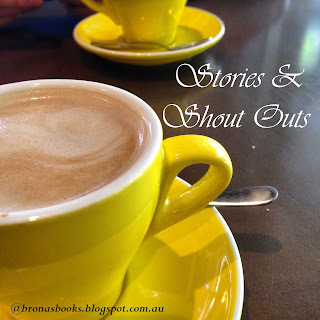 I haven't read any Zola in a while so I will definitely try to join you! I have four unread Zolas on my TBR shelves. 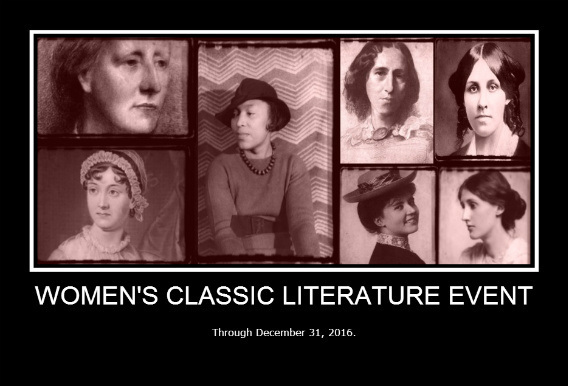 I also checked the Oxford World's Classics website and there are two new translations forthcoming in 2017, #5 The Sin of Father Mouret, out in May; and #8 A Love Story, out in October. I actually own both of these but in much older editions. My copy of #5 is from 1969 and #8 is a very old copy from 1905! Maybe I will just read La Debacle or Money instead. I'm glad you will be joining us for #Zoladdiction. I'm thinking of joining just to finish The Belly of Paris. I stopped halfway, and I hate doing that; but I just couldn't "stomach" it anymore. Ugh! Zola is really effective about turning people off w/ gluttony and food. But I may just hold my nose and do it. I have a few days to think about it. I used #Zoladdiction month to help me finish Germinal. 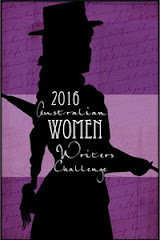 Not that I wasn't enjoying it, but I was trying to read it on my ereader & I was struggling with the format. I need a real book. So I sourced one, ordered it and read in through in April 2015, loving every page, even the awful descriptions of working in the mines. I'm curious about my reaction to The Belly of Paris now, given I reacted so strongly to the 2 Zola's I've read so far, I suspect I will be like you.